From children to adults, those with an unwavering need to explore are sure to discover more at The Kahala Resort and Spa on the Hawaiian Island of Oahu. Just minutes from Waikiki in a world all its own, the serene setting at The Kahala inspires learning, creativity, and connection. Say Aloha to the true Hawaiian locals. The Kahala’s crystal blue water lagoon is home to many including tropical fish, sea turtles, and a family of playful Atlantic Bottlenose dolphins. Watch these beautiful creatures swim through the resort or catch a feeding, but few experiences are more memorable than a face-to-face dolphin encounter. 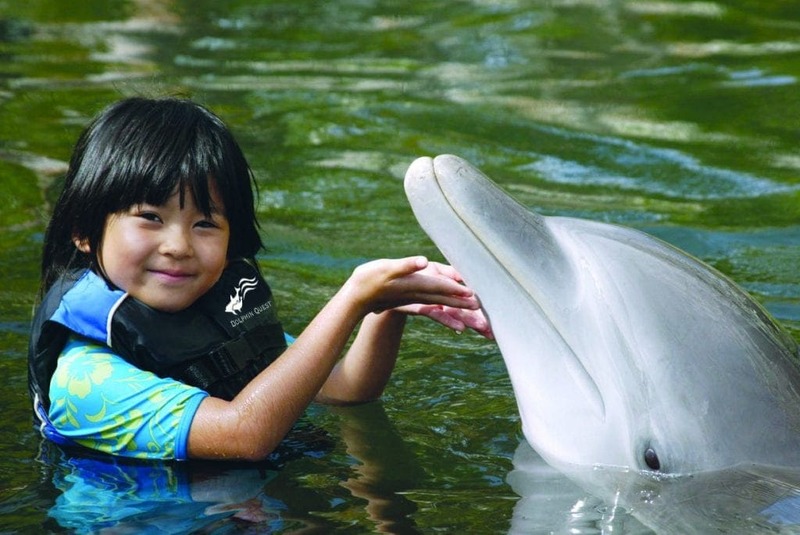 Together with Dolphin Quest, The Kahala creates an experience that gives you a glimpse into the life of a dolphin, bringing vacation dreams to life. The Wee Family, Fins, and Fun package brings parents and children 4 years and under to the dock for a meet-and-greet while the Family Swim Program is a fun opportunity for your ‘ohana,’ Hawaiian for family, to meet our dolphin ohana. Immersive programs invite dolphin lovers to be a trainer for a day or week, learning about their diets, habits, health, and more. 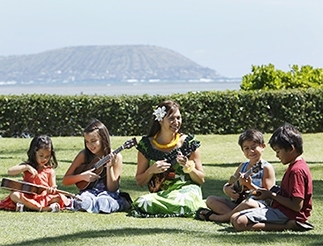 ‘Keiki’ is the Hawaiian word for child and forms the name of an extraordinary club at The Kahala. 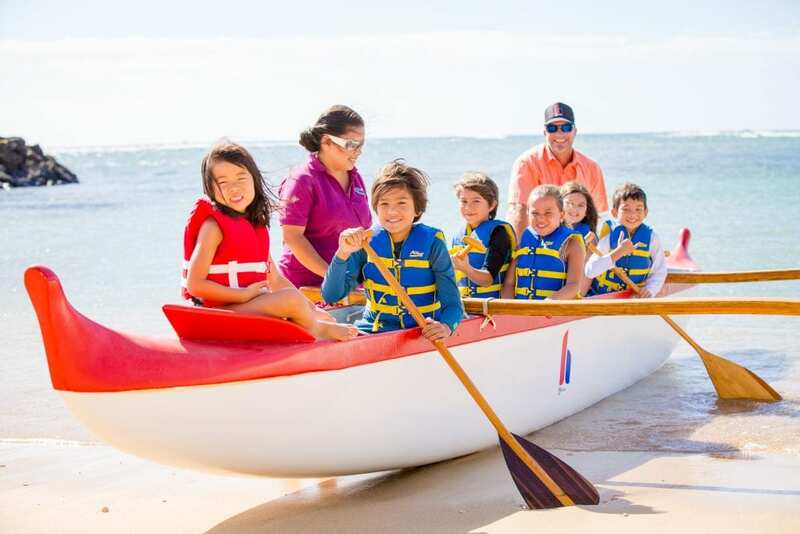 For little adventurers between the ages of 5 to 12 years, endless fun and play await at the Keiki’ Club where they’ll gain a deeper understanding of Hawaiian culture, history, environment, and traditions while creating lasting memories under the sun. 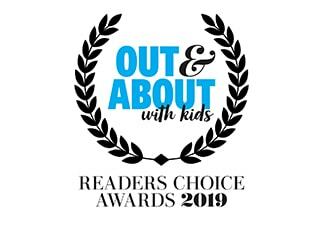 Daily activities may include learning about Hawaiian legends, singing Aloha songs, discovering Hawaiian tide pools or going on a Hawaiian nature scavenger hunt. Hike the most iconic symbol of Oahu, Diamond Head! Hiking in Hawaii is a great way to add to your child’s sense of adventure, and the Diamond Head Trail is one of several kid-friendly hikes that offers some of the best views of Honolulu. The best times to climb Diamond Head is in the morning when temperatures are still cool or late afternoon when the sun is not at its height. The park is open from 6 am until 6 pm with the last entry to the trail at 4:30 pm. Make sure you have hats, sunscreen, and water for the 1.6 miles round trip hike. 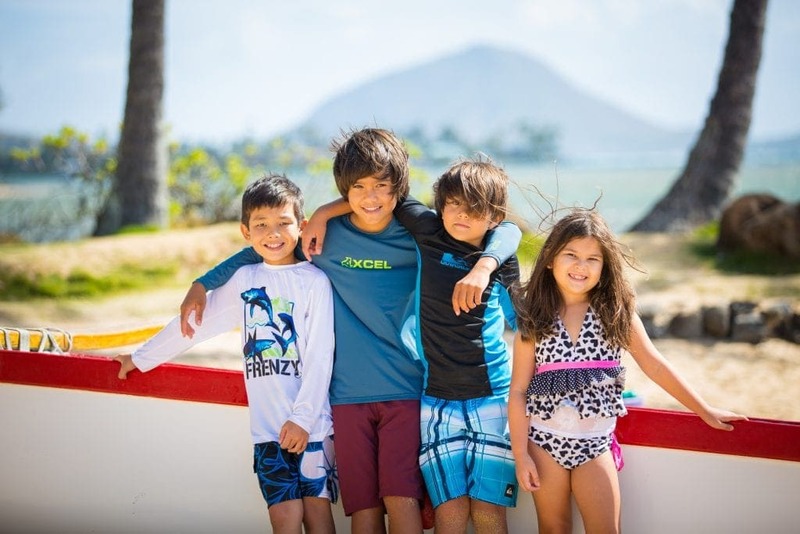 Spend more time exploring as a family by booking the Kahala Family Plan, where guests 12 and under can stay with their parents for no additional cost.